Does anybody know how to plot with "spplot" fuction two elements of diferents classes?. 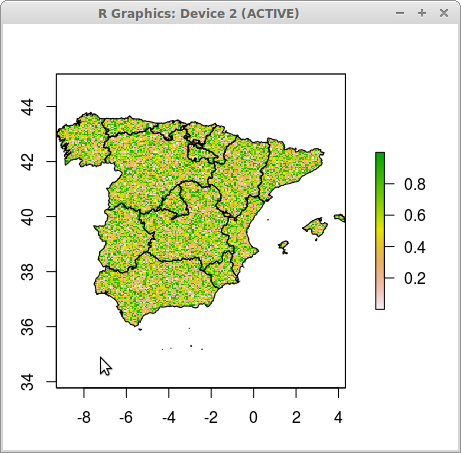 One element from "SpatialPolygonDataFrame" class and other from "raster" class. If you want to stick with spplot, you could e.g. use layer from latticeExtra to add 'Spatial*' objects to an existing plot. Based on the code provided by @Spacedman, this would look as follows. Not the answer you're looking for? Browse other questions tagged raster polygon r sp or ask your own question.